Alice B. McGinty delights in igniting imaginations. As the award-winning author of over 40 children’s books, she makes fiction and non-fiction accessible, engaging, and fun. Books include newly released, Pancakes to Parathas: Breakfast Around the World, the 2015 Sydney Taylor Notable book, Rabbi Benjamin’s Buttons, and the 2014 South Asia Book Award honor, Gandhi: A March To the Sea. 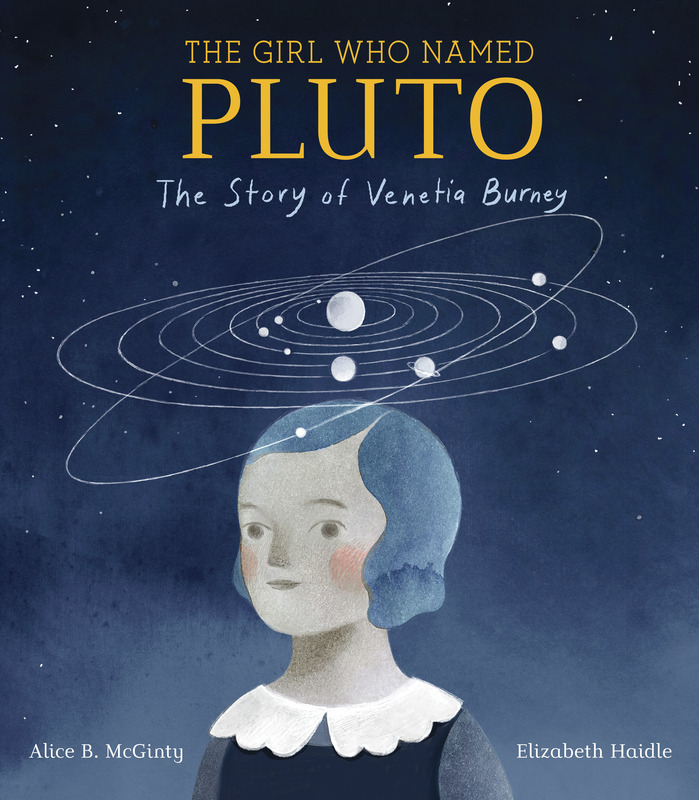 Eight upcoming titles include Jr. Library Guild Selection, The Girl Who Named Pluto: The Story of Venetia Burney (May, 2019). A frequent presenter at schools and conferences, Alice was awarded the 2017 Prairie State Award for Excellence in Writing for Children. Alice B. McGinty delights in igniting imaginations. As the award-winning author of over 40 books for children, she makes fiction and non-fiction accessible, engaging, and fun, and brings excitement to writing through interactive presentations. Books include the newly released, Pancakes to Parathas: Breakfast Around the World, the 2015 Sydney Taylor Notable book, Rabbi Benjamin’s Buttons (Charlesbridge, illustrated by Jennifer Black Reinhardt), and the 2014 South Asia Book Award honor, Gandhi: A March To the Sea (Amazon Children’s Publishing, illustrated by Thomas Gonzales), and the 2010 Orbis Pictus Honor, Darwin (Houghton Mifflin, illustrated by Mary Azarian), also on Booklist's 2009 Top Ten Biographies for Youth. 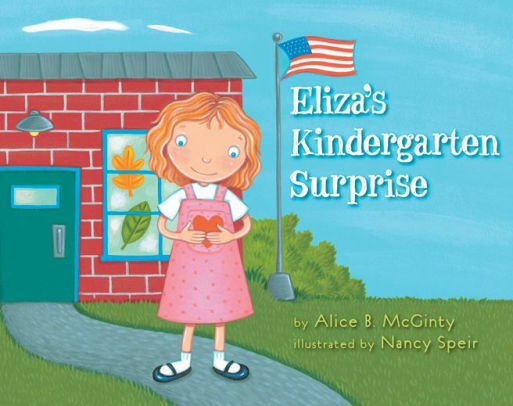 Other publications include Eliza’s Kindergarten Pet (2010, Two Lions Press, illustrated by Nancy Speir), Thank You, World (2007, Dial Books, illustrated by Wendy Anderson Halperin), and nonfiction books on subjects ranging from nutrition to tarantulas. A frequent presenter at schools and conferences, Alice was awarded the 2017 Prairie State Award for Excellence in Writing for Children. She is also the director of Words on Fire, a summer writing camp for teens, the Co-Regional Advisor for the Illinois Chapter of the Society of Children’s Book Writers and Illustrators, and a children’s book reviewer and writing coach. When Venetia Burney's grandfather reads aloud from the newspaper about a new discovery--a "ninth major planet" that has yet to be named--her eleven-year-old mind starts whirring. She is studying the planets in school and loves Roman mythology. "It might be called Pluto," she says, thinking of the dark underworld. Grandfather loves the idea and contacts his friend at London's Royal Astronomical Society, who writes to scientists at the Lowell Observatory in Massachusetts, where Pluto was discovered. After a vote, the scientists agree unanimously: Pluto is the perfect name for the dark, cold planet. From Australia to India to the USA, come travel around the world at dawn. Children everywhere are waking up to breakfast. In Japan, students eat soured soybeans called natto. In Brazil, even kids drink coffee--with lots of milk! With rhythm and rhymes and bold, graphic art, Pancakes to Parathas invites young readers to explore the world through the most important meal of the day. Amazon | IndieBound | Barnes&Noble | BAM! As a sign of affection for their warm-hearted rabbi, the families of the congregation make Rabbi Benjamin a special holiday vest, complete with four shiny silver buttons. Throughout the year Rosh Hashanah, Sukkot, Chanukah, and Passover the rabbi celebrates with his congregation, unable to resist their delicious home-cooked food. But with each holiday his vest grows tight, tighter, until . . . POP! Ten mischievous little lambs devise an abundance of silly games to make their sleepover party a night to remember, but soon sleep overtakes them, in a hilarious counting book filled with lively illustrations and lyrical text. Miss Summer has a special treat for Eliza’s kindergarten class—a new pet guinea pig that the kids name Cookie. But Eliza doesn’t like this kind of cookie: "A cookie with teeth?" Eliza thinks. She knows that people eat chocolate chip cookies. But do chocolate chip cookies ever eat people? Eliza has to go to school for the first time ever. But she doesn’t want to leave Mommy. Mommy understands. She places a kiss on her fingertips and gently slides it into Eliza’s pocket. But Eliza’s pocket still feels empty inside. Then, at school, she sees things that remind her of her mother. She gets an idea and makes a mommy doll as a surprise for Mommy! Filled with the fascinating words of Charles Darwin—designed as handwritten entries—this picture book biography reveals the assembling of a profound idea: the survival of the fittest. Two hundred years after his birth, 150 years after the publication of his ORIGIN OF SPECIES, this thought-provoking, splendidly ilustrated account invites us into the private thoughts, hopes and fears of a soul who forever changed the way we see the world. Thank you, breeze, for lifting up my kite wings past treetops tall and proud. Thank you, trees. Your branches are my playhouse. I?m climbing to the clouds! Eight very different kids, from eight different continents, all go about their day and experience the same moments of happiness: greeting the sun in the morning, swinging on a swing, flying a kite, being tucked in by Mommy at bedtime. Uplifting and visually rich, this book reminds us that the world isn’t as large as it seems, and that life’s greatest pleasures are the simple ones. Discusses the physical characteristics, habitat, hunting tactics, and reproduction of the crab spider. Describes the physical characteristics, web spinning, and food trapping of the orb weaver. Describes the physical characteristics, hunting behavior, and reproduction of the tarantula. Describes the physical characteristics, hunting habits, and reproduction of the wolf spider. Jumping spiders can jump up to 4 times their own body lengths! These large-eyed, furry spiders are often kept as pets by people, and can be trained to jump from finger to finger on their owners hand. However appealing-looking they might be, jumping spiders are also ruthless carnivores, as an incredible photograph of their jaws and fangs in this book shows. This book will teach readers about these amazingly athletic spiders and the ways in which they live and hunt. Discusses what a detector dog is, the training it goes through, different kinds of search dogs, and their jobs. Describes the raising and training of Freedom, a seeing eye dog, beginning with its selection as a candidate to be a guide dog up to its placement with an appropriate master. Explores the nature and work of sled dogs, what kinds of breeds make sled dogs, and the history of dogsled racing. Explores the selection, training, and uses of police dogs in fighting crime. Describes the life of Sparkle, a border collie that works as a sheep dog, examining the training and effort involved for sheep-herding dogs to do their job. Discusses the four food groups, the nutrients our body needs, and the importance of healthy eating. Provides an overview of the teeth, including the different kinds of teeth we have, their composition, and how to take care of them. Discusses what germs are and how they spread, as well as the importance of being clean and well-groomed. Defines exercise, describes its benefits, and gives a few examples of how to exercise . Gives children pointers on how to stay safe by thinking safe, including chapters on safety with strangers, friends, while playing, at home and in the neighborhood. Describes the stages of sleep, discusses what happens when we sleep, and why we need sleep.